The modern management style for project management, product management, and people development. Where business and people grow together. 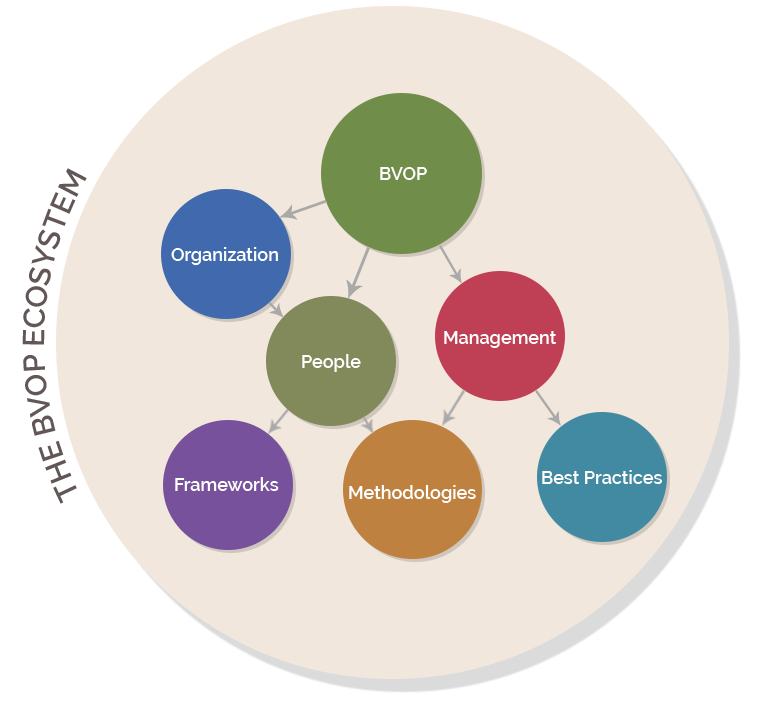 Why do organizations need to adopt the BVOP now? 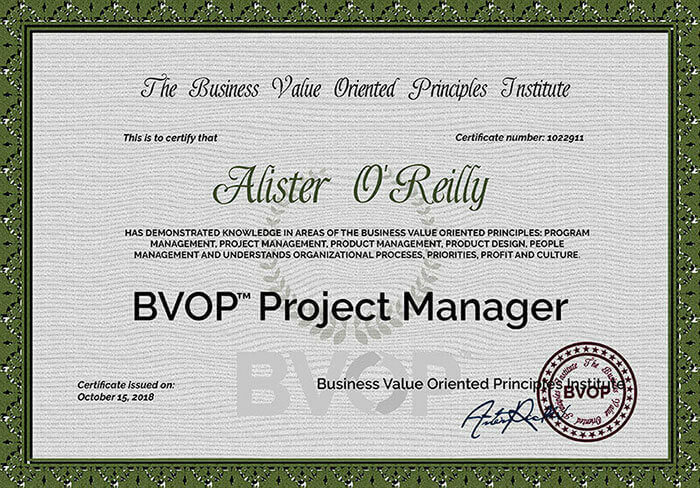 The BVOP change the way organizations manage both their projects and people. They are a superset for organizational, project, product and people management. The BVOP can be applied to any Agile or Waterfall methodologies directly or modified depending on your needs. The goals of the BVOP are to increase productivity, reduce wastes and improve people motivation and organizational atmosphere.